This is one of those shots that works if one gets the symmetry right — so it’s a shame both trains were not the same. 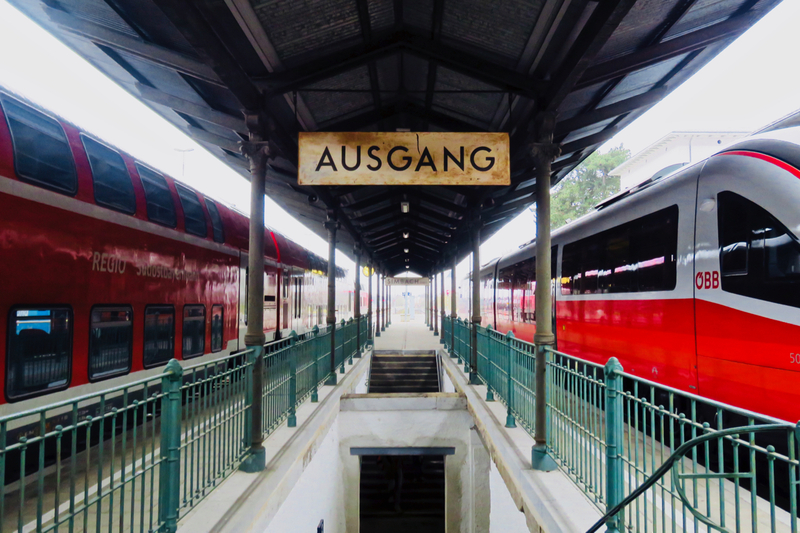 But with this station, Simbach am Inn, lying right on the German/Austrian border, the one on the left goes into the first country, the one on the right, the latter. And who doesn’t love a bit of good old-fashioned Century Gothic font.